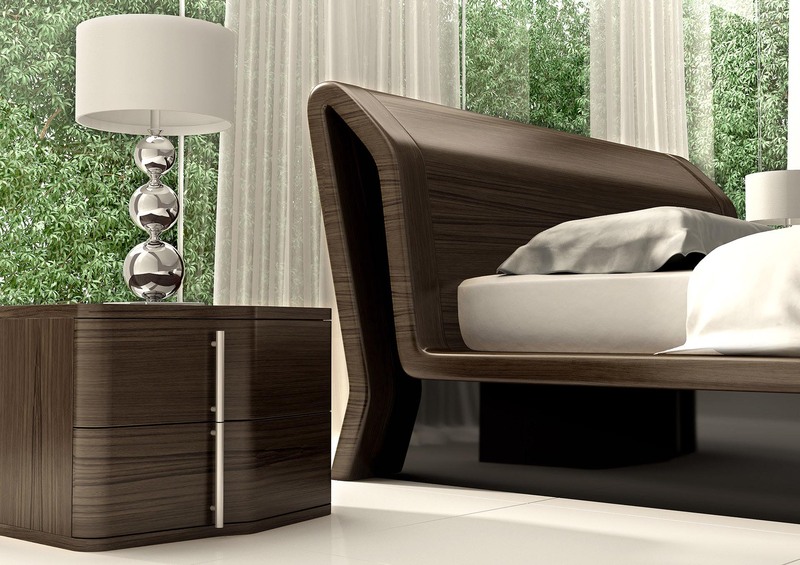 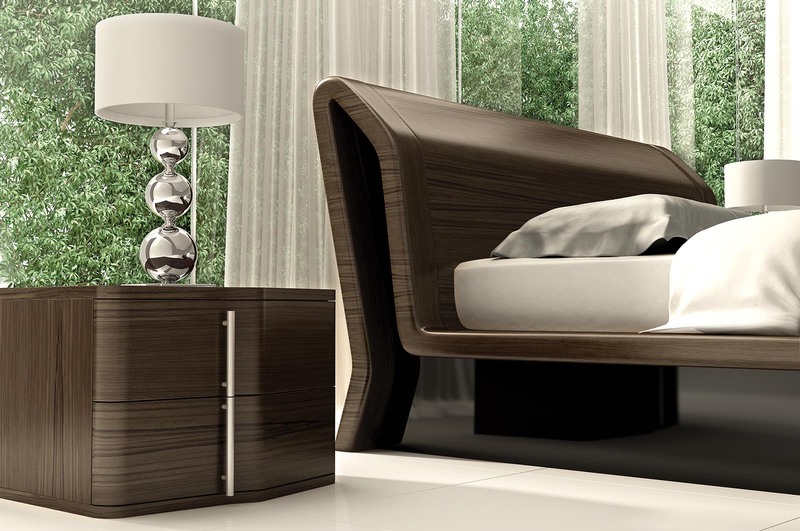 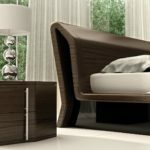 Bed in solid curved wood veneered in oak or walnut . 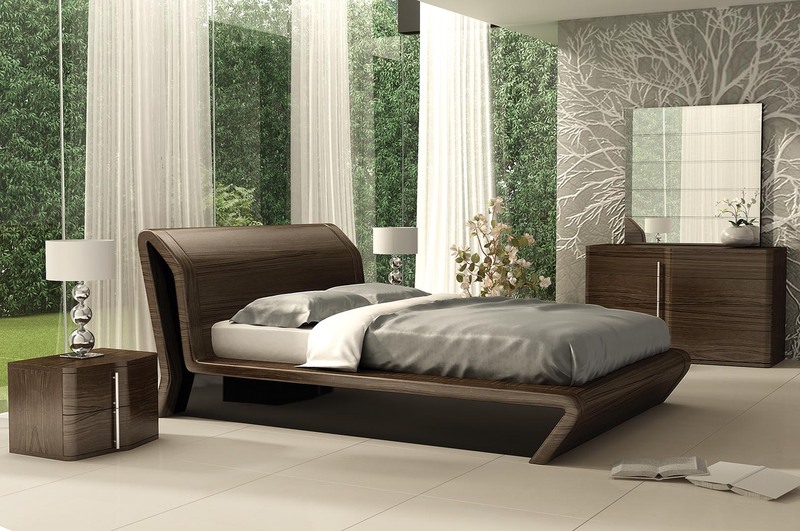 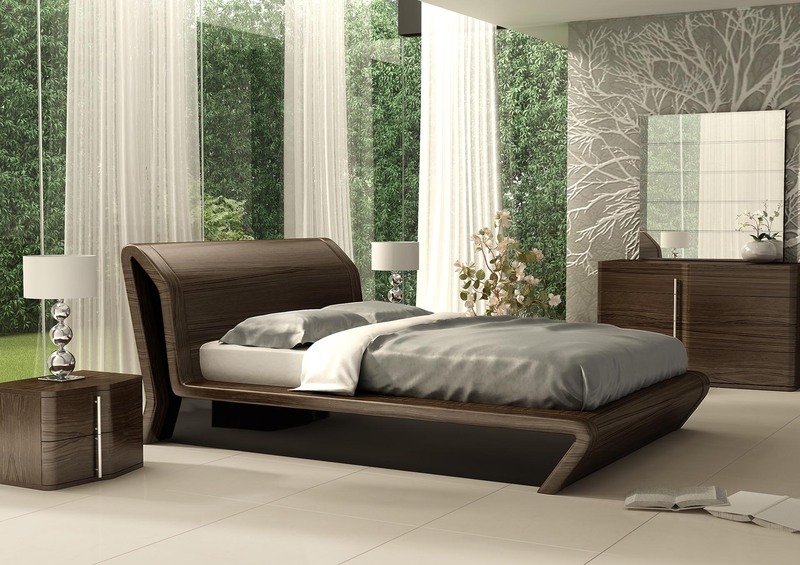 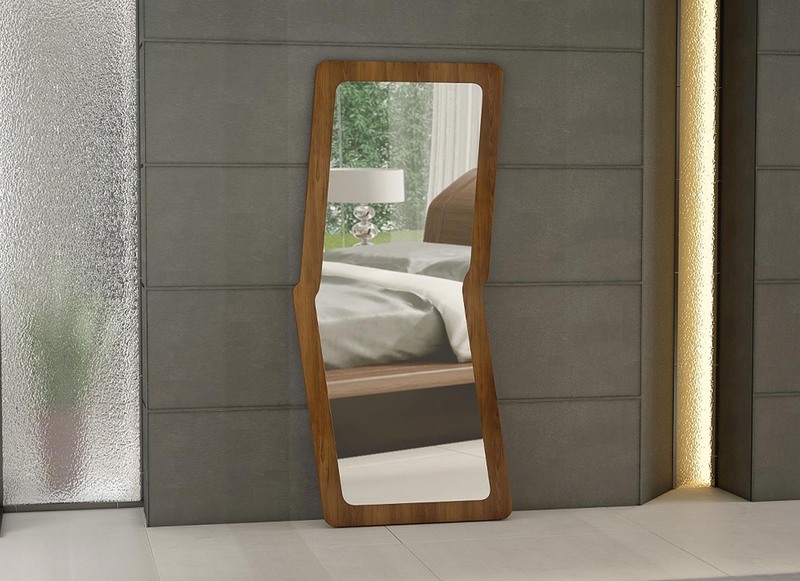 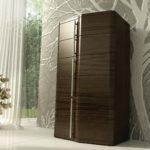 The sides of the bed can be in the same shade or in high gloss lacquered wood in any RAL color. 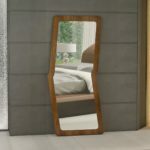 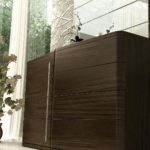 Bedside tables /chest of drawers/tall chest of drawers /port mando are in veneered oak or walnut. 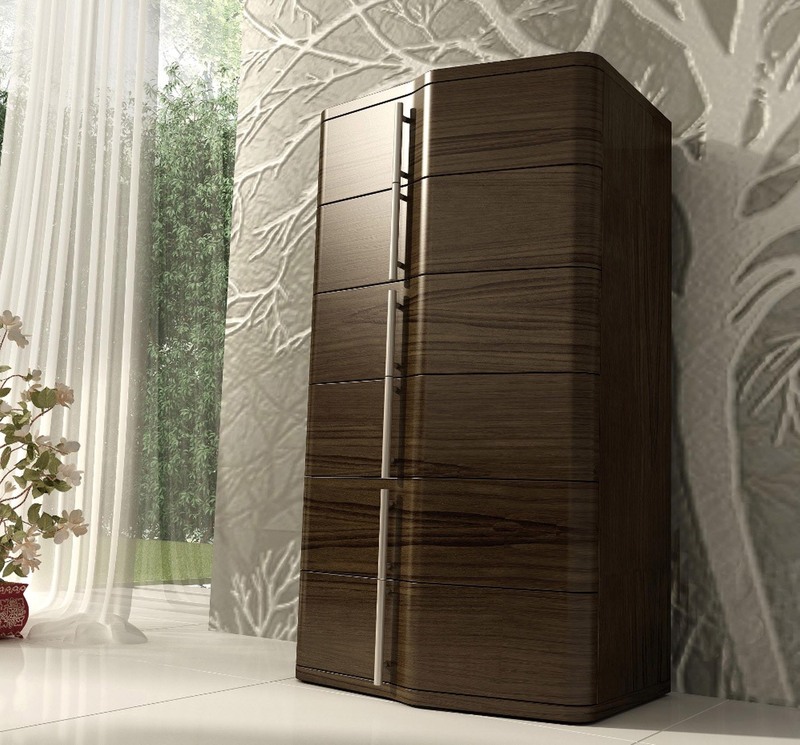 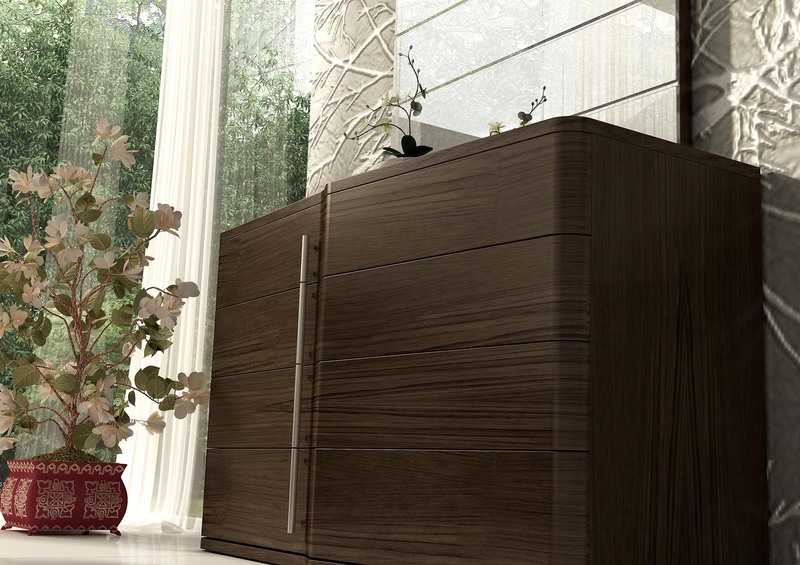 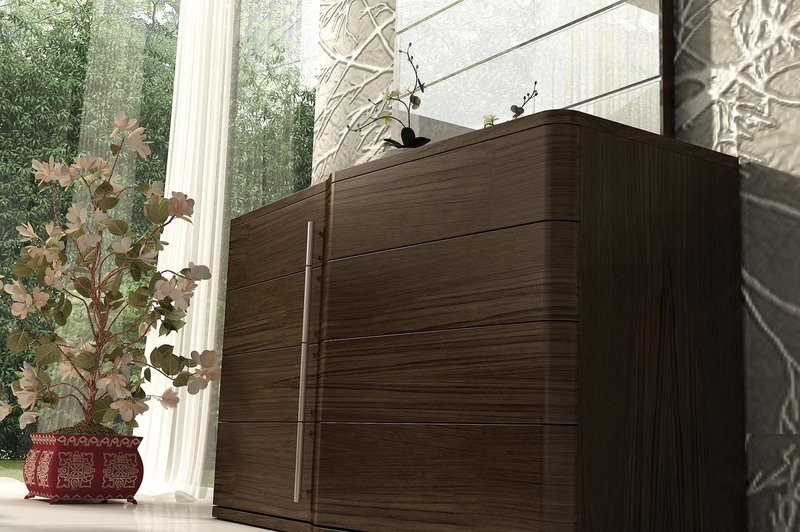 The drawers are in solid curved wood veneered in oak or walnut.